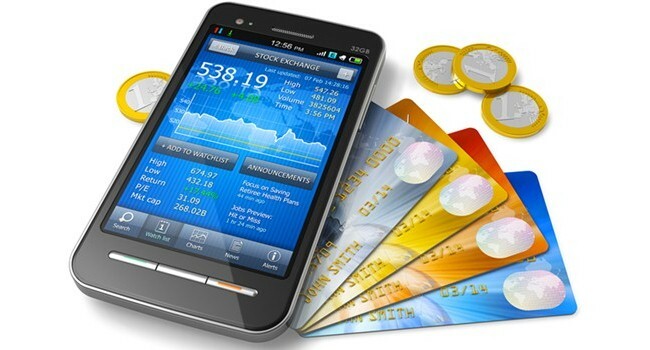 Brits have now downloaded more than 12.4 million mobile banking apps while the number of transactions made using them has nearly doubled in a year, hitting 18.6 million a week in 2013 – figures from the British Bankers Association show. The UK is in the midst of a technology-led banking revolution as Brits shun branches in favour of their mobile phones, figures from the British Bankers Association show. the average Barclays customer uses its app 24 times a month. Meanwhile customers signed up to receive more than 450 million text messages such as balance alerts from their banks in 2013. Two thirds of texts alerts received by HSBC customers warned that a balance had dropped below a point they set. Internet banking is also still making strides: RBS now claims 5.6 million online banking users and HSBC says that 72% of all its interactions with customers are now carried over the phone on through the Internet. Another area which has seen huge growth over the last year is contactless payments. There are now 28.4 million debit and credit cards with tap and pay technology. RBS Group contactless cards made 14 million payments last year, a figure expected to treble to 44 million this year and hit 250 million by 2023. The rise of online and mobile banking has seen a drop off in branch visits, with RBS reporting a 30% fall in footfall since 2010. Last week Clydesdale and Yorkshire Banks said they will close 28 branches after experiencing a similar drop. In November, Barclays confirmed plans to axe 1700 customer-facing jobs from its branch network in 2014, citing the rise of new customer channels, particularly mobile banking. In an op-ed for the Telegraph, Browne admitted that he himself has not visited a branch this year. “Many of us love the idea of our local record dealer or bookshop, but we instead opt to buy from a well-known online retailer that delivers goods direct to our door. It would be naïve to think that banks would somehow be unaffected by such change,” writes Browne. He insists though that the branch is not dying, citing the emergence of Metro Bank and Virgin Money and arguing that branches are still important for “those big moments” when customers need to talk to someone. Here, technology can help improve services. Barclays has introduced iPads in its branches, helping to cut the time it takes a customer to open an account to just three minutes. “Make no mistake, the branch will remain integral to banking services in the 21st century – especially for those big moments in life such as arranging a mortgage. But the day-to-day use of branches is falling and part of that is because there is a groundswell of people who now find that banking on the move is fast, easy and convenient,” concludes Browne.